Popular Computer™ is Sylvain Dalido from France. In Paris, Sylvain’s early attempts at producing his own electronic pop music met with immediate praise and success. His track I Can’t Forget You, syncopated rhythm with melodious sound, caught the attention of Tiefschwarz who included it on their influential Misch Masch mix album. The single was subsequently released by Kitsuné as a 12” single and featured on the Kitsuné Fur compilation. 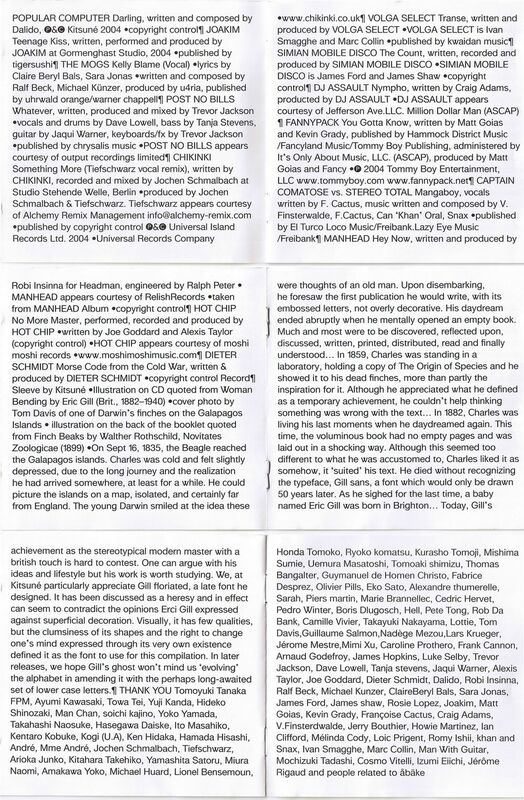 At this point Popular Computer became one of the original Kitsuné artists and staff producers. His tracks Darling and Clone Age were featured on the Kitsuné X and debut Kitsuné Maison compilations, respectively. Darling especially was considered by many to be the standout track on this now legendary inaugural Maison collection. And naturally led to his next single Next Level Pope appearing on the 2nd Maison compilation in 2006. Following this, Popular Computer gained further exposure through a wide range of unique, remix work. His remixes of New Young Pony Club, Mylo, Hot Chip, Pacific!, The Whip & Japanese electro superstar Shinichi Osawa made waves around the world and led to DJ work across Europe and Asia. 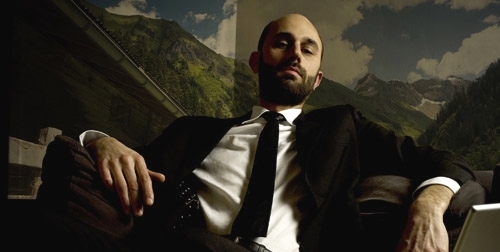 In 2008 Popular Computer released the Lost and Found EP and Senso Data album to critical acclaim and included the single Girl(S). 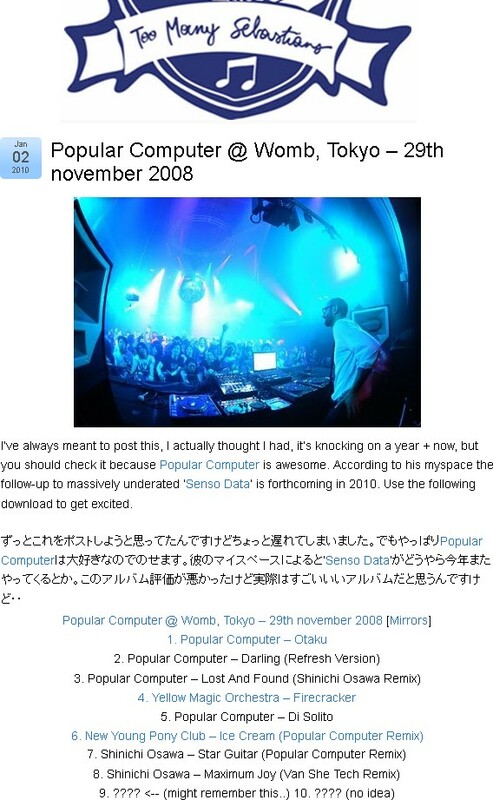 The following year, Popular Computer spent time in Japan and Korea, supporting the campaign for Senso Data. These experiences in the Far East influenced his next body of work. In 2012 Popular Computer is back with an extraordinary new album called LiTE. Beautifully sunny summer sounds mixed with the Japanese simplicity for melody and arrangement. LiTE is a thoroughly modern piece of work, a very distinct take on French electronic music. LiTE has been preceded by the single Lointain, and the second one Pop Heart, which features remixes from Robotaki, Blue Satellite, Carlos Pizzetti, Pharao Black Magic, Muffin and Lifelike. Later, it wanted to talk to you about a previous period of its music. That’s why Popular Computer Music is pleased to share with you a compilation of tracks called First Level 2004 – 2007. From Fine Records to the Kitsuné label, from New Age to Clone Age, from the beginning ‘till the end, as if time had never started again… With a midi language and an end of the world atmosphere, the new wave still breathes through these sounds recorded between 2004 and 2007. On September 15, 2015, a third album, Euro Kiss, is out! Sylvain sends a French kiss to Europe. His goal is to build a theatrical and choreographic musical production, imbued with something “Latin”, in the spirit. This album also confirms its desire to remain a virtual band offering dematerialized electronic music and no real singer. Since and still today, some tracks and productions for others have emerged, waiting to come back with a new universe to share through singles and lp.